Some states allow for formal legal separation, but Florida is one of only a few states that does not. A separation agreement outlines terms of a separation whereas the settlement agreement is the final part of a divorce. If you have questions regarding when you need a separation agreement versus a settlement agreement, it’s important to speak with a knowledgeable Boca Raton family law attorney. Petition for Support: A support petition will allow one spouse to receive alimony and/or child support from the spouse who has moved out of the marital home without yet filing for formal divorce. Postnuptial Agreement: Postnuptial agreements are marital agreements that couples enter into after they are legally married. A postnuptial agreement can define specific terms and conditions of debts, alimony payments, and the division and distribution of assets. Separation agreements differ in Florida because legal separation is not recognized. This means the agreement is not binding in the event either spouse opts to file for divorce down the line. Settlement agreements can be a crucial part of a Florida divorce. 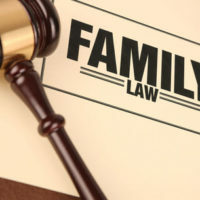 The purpose is to summarize all agreements made in connection with the divorce. These address important issues like division of assets, child custody, child support, alimony, and more. While you can draw up your own settlement agreement, it’s best to have an attorney review it before signing. You and your spouse each need your own divorce attorney to ensure your rights are protected and the agreement represents an equitable distribution. Once you and your spouse reach an agreement, the judge will likely hold a hearing and ask questions regarding whether you understand the terms. Once the judge approves it, he or she will issue the final divorce decree that shows the divorce is finalized and notes how the issues have been resolved. In the event all issues are not resolved, the judge may order parties to continue negotiating, or set the case for a trial. A settlement agreement is primarily used in uncontested divorces, and it will be incorporated into the final divorce decree. The decree will include some type of statement that the agreement is attached or in some way referenced. The settlement agreement is not what grants a couple the divorce, it is the final divorce decree that does that. Florida allows for limited divorce, which is similar to a legal separation. This allows couples to retain some benefits like health insurance or social security benefits. Or, maybe your religious beliefs don’t allow for divorce. This is where a separation agreement can be beneficial. If you have questions on separation agreements versus settlement agreements, or need other assistance related to a Florida divorce or other family law related issues, please contact the Law Offices of Schwartz | White at 561-391-9943 to schedule a consultation.